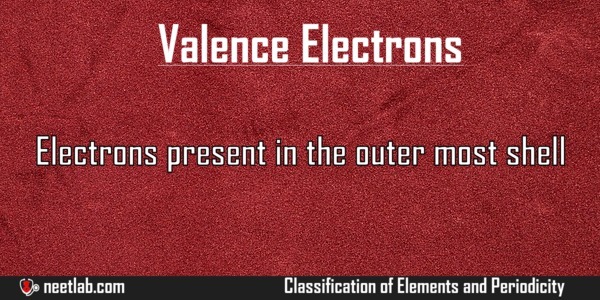 Electrons present in the outer most shell are called as Valence Electrons. They determine the chemical properties of the element. For example, Calcium has two valence electrons. Ca++ has zero valence electrons because 2+ charge indicates that two electrons would be missing in the outermost orbit. Valency is the number of electrons an atom needs to gain or release in order to attain fullest energy level. 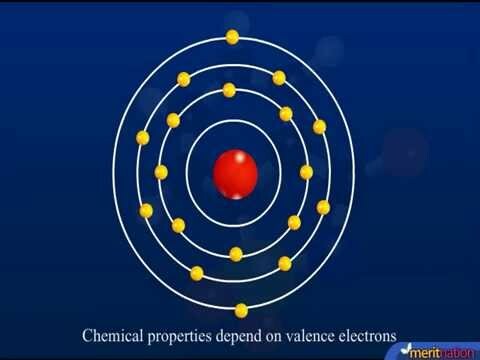 When an atom contains below four electrons in its outermost shell, the valency is equal to the number of valence electrons and it is said to have a positive valency(donates its free electrons to another atom with negative valency). When the number of electrons in atom is above 4, it has a negative valency(accepts free electrons from another atom with positive valency). Valency of such an element is determined by subtracting the number of valence electrons from 8. Valence Electrons remain same within the elements of the group and increases for elements across a period. The group number of an element is equal to the number of valence electrons. It determines the chemical properties of the element. It forms bond with other atoms and elements. The number of bonds can be determined by the number of valence electrons in the element.